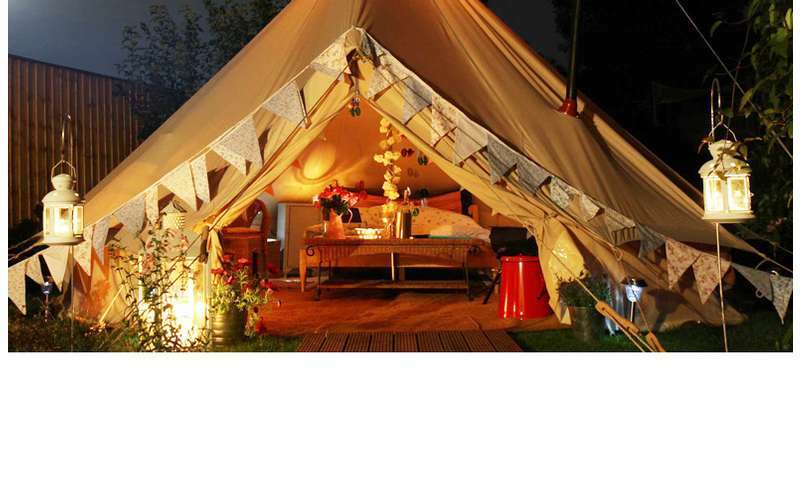 Saratoga Escape offers luxury glamping tents that bring comfortable elements to the camping experience. The 300-square-foot tents offer 360 degrees of ventilation with roll-up mesh screens. Contact Saratoga Escape at 518-893-0537 for more information and to reserve your luxury glamping experience today! If so, login to add your events! Be the first to review! Sitemap Full-Service Internet Marketing: Search Engine Optimization, Website Design and Development by Mannix Marketing, Inc.
We strive to insure accuracy on Saratoga.com however accuracy cannot be guaranteed. Information is subject to change. Please alert us if there is any inaccurate information here. Having trouble using this site? Accessibility is our goal, please contact or email us with site improvements.